KMO Default Levels is a pack of 8 levels for Keen 1 compiled by Peder Johnson. 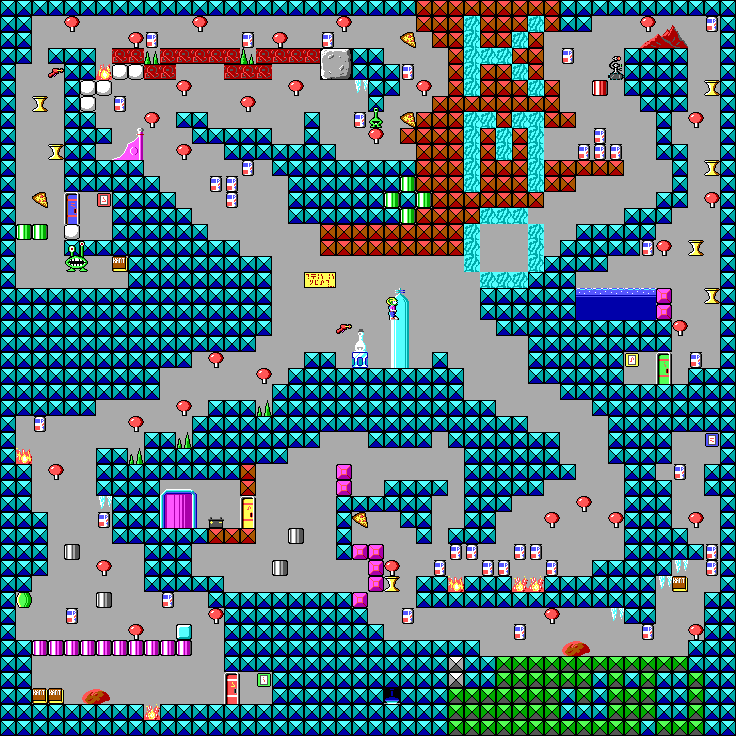 It originally came with the level editor Keen Make-Over. The levels show a creative use of the tile set. 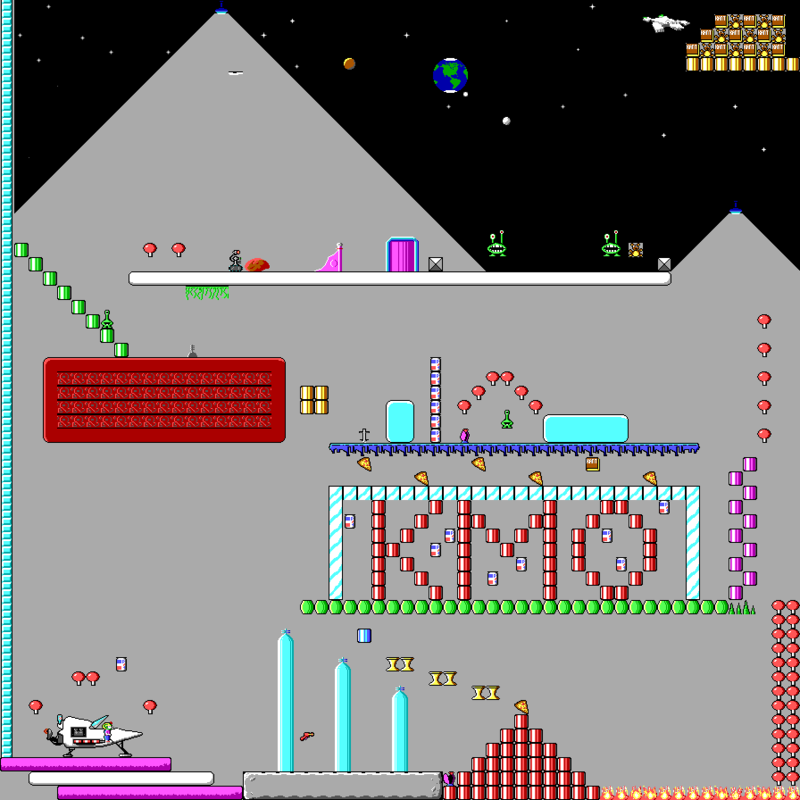 All the levels have a 'KMO' or another Word written with tiles somewhere, except level02 which is The Ice Factory by Xky Rauh. This level pack also circulates as Psycho Keen either by Adam or Xky Rauh, both versions are the same as this levelpack. Level01: An ascending level where you get the pogo. The earth is seen in the sky, and a secret path through the stars leads to a lot of points. Level03: You start out in the center of the level and have to get all the Keycards to finish the level. The level is almost completely made out of solid bricks. Level06: A linear left to right level with 'Geoff Sims' written in ID-tiles. Level07: A small level of the type 'get the Keycard and come back to the exit'. Mars is seen in the background here. Level08: The largest level in this set. 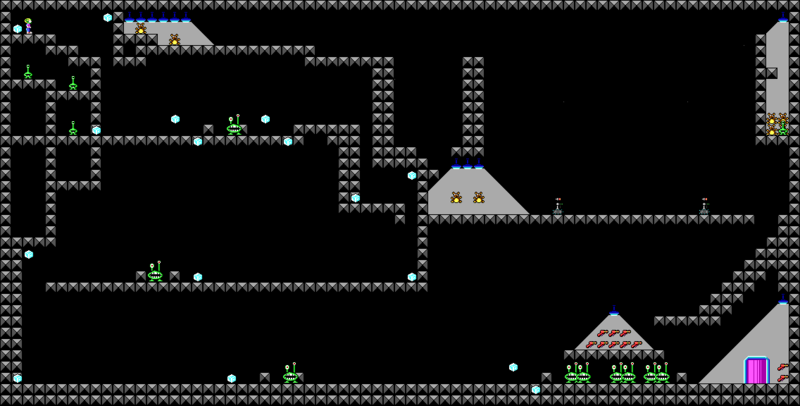 The exit is accessible through a shaft in the middle that divides the level up into two main sections. Level09: Keen starts out in a pool of water here. Level10: The level from Peder Johnson's 1st Levelpack. This page was last modified on 25 August 2018, at 02:30.